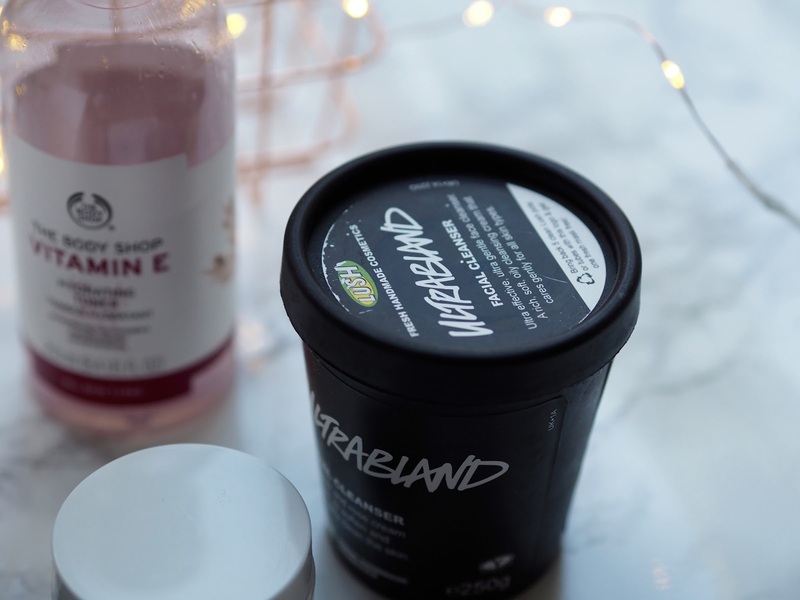 I know we’re not technically in “winter” yet but lately my skin has been demonstrating typical traits of “winter skin” so i’ve changed up my skincare routine as we come into the colder months! I’ve also made a video about my cleansing routine over on my channel so if you want to see my full skincare routine including makeup removal then the video is below or linked HERE! 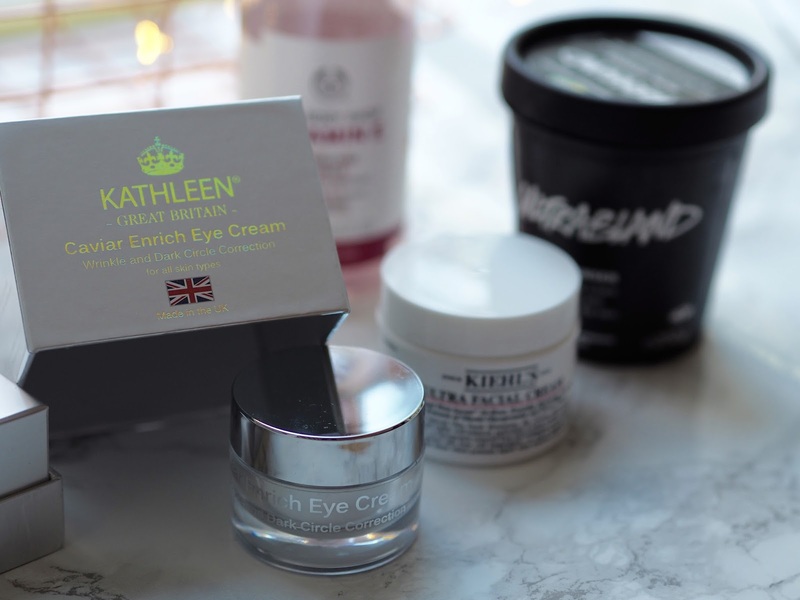 This season i’ve added in an eye cream to my skincare routine, Kathleen Natural asked me if i wanted to try out one of their products and out of the bunch i picked out the eye cream. Before using this i felt like i was being a little harsh to my eyes, i noticed that applying eye makeup and taking it off was probably not going to help my skin in the future so i wanted to add in something to look after my eyes. The caviar enrich eye cream* is so luxurious, it contains 23 marine and natural extracts to firm the skin as well as reducing lines, dark circles and puffiness. I’ve really noticed is my puffiness is reduced and my under eyes feel less tired – if that makes any sense?? While my under eyes feel much more hydrated and i find my concealer goes on much smoother now that i’ve got a base on my skin to prep. Recently the skin on my forehead and cheeks became really dry, my skin is usually oily and acne prone so nothing i had in my skincare collection was cutting it for my new dry patches. 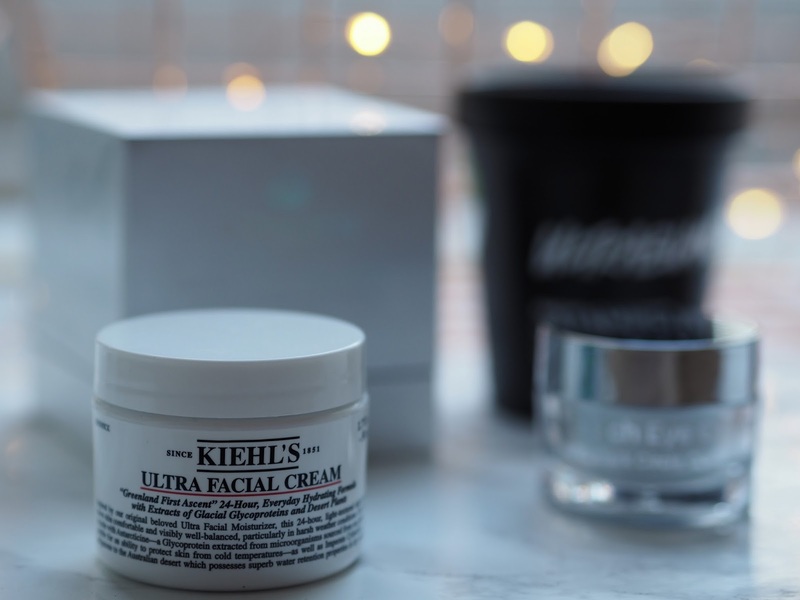 I picked up my first ever Kiehls product the Ultra Facial Cream and i’m so glad i did, this has become my new favourite skincare product. Its so hydrating so has completely sorted out my dry patches and rebalanced my skin while not being too heavy for my acne prone skin type. From the first time i used this i knew i was going to love it, it makes my skin feel so calm and soft and is somehow rich in hydration but is still light and doesn’t break me out. I also featured this in my October Favourites on my channel which you can check out here! While i don’t use this everyday currently (i go through phases where i do) in the winter i like to switch to Lush ultra bland cleanser. This has been a firm favourite of mine for years now but i always fall back in love with it during the winter; even though this balm does break down into an oil its perfect for calming oily and acne skin and helping to rebalance oil production. Theres something about using a cleansing balm in the winter which makes my skin feel more looked after and calmed. Finally i’ve been using a different toner now my skin has slightly different needs, usually i would use an exfoliating acid toner but i’ve switched to using a hydrating toner to reduce tightness after cleansing and prep my skin for moisturiser. 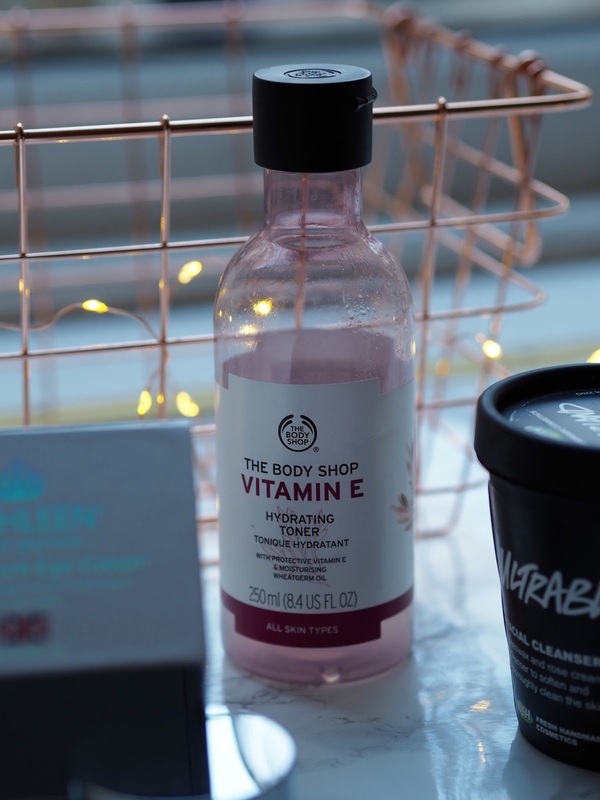 I’ve been using The Body Shop Vitamin E hydrating toner after cleansing which really helps to add hydration back into my skin, this is unlike any toner i’ve used before because it is so much thicker but its perfect for winter skin. Disclaimer: This post is not sponsored but does contain products sent to me for reviewing purposes, please see my disclaimer tab for more information.